Pretty Things - Bead Soup Blog Party: Want to win for your Bead Soup design? Want to win for your Bead Soup design? I've decided to add a new element of fun to the Bead Soup Blog Party® -- no, not pie, but PRIZES! 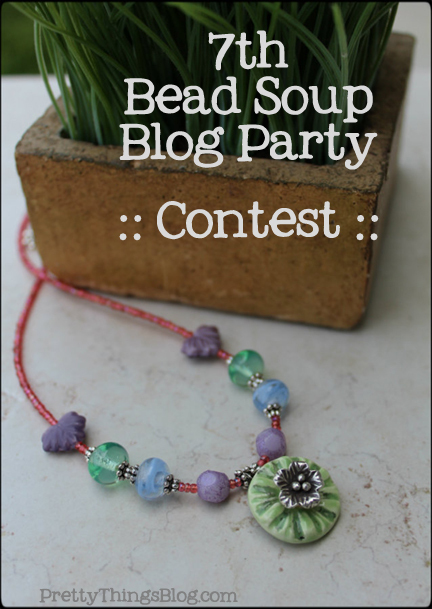 First, you do NOT have to participate in the contest, but to participate in the contest, you must already be in this year's Bead Soup Blog Party®. 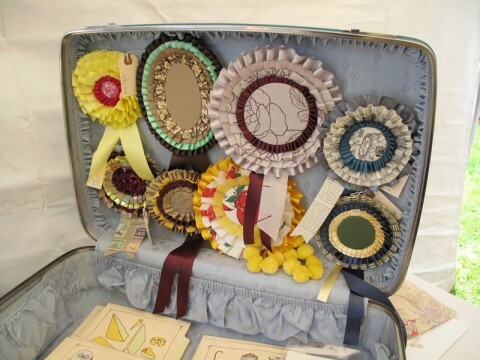 In order to be considered for the judging, you will have to pin your piece to a special Pinterest board. I will again be adding names, but you have to pin your own piece in order to be considered for the judging. I've never been a fan of entering contests where you win by vote as the deck is often stacked against those without large social networks. So to make this extra special and extra fun and as fair as possible, I am assembling a panel of judges from a variety of bead suppliers. So far Nina Designs, Lima Beads, Fusion Beads, PJ Tool and Jewelry, Beaducation, and Kalmbach Publishing will be judging. There is a chance for ANYBODY to win, no matter your skill level or your soup's flavor. I hope this will interest some of you! Remember, it is NOT mandatory.... you must pin your piece (AFTER your reveal date). so it doesn't matter when your reveal date is. I will be adding your name to the pin board, but if you haven't received an invitation in about a week, please let me know. Stay tuned for the full panel of judges. What a fab idea Lori! I'm gunning for the Out of the Hat category :-). sounds like great fun and gives me an extra incentive to make something extra special from my soup! thanks lori!! This sounds like some extra incentive for creative ideas, heaps of fun to come! Great idea! I love that you will have a panel of judges - it always seems a bit unfair when it is down to who has the most friend's wins. This sounds like even more fun. Thanks for the invite. What a great addition. Seems like more work for our fearless leader. Thank you so much for all you do! I can't wait for this part of the party now, too! This adds a nice new twist to the hop. what a great idea! Sounds like lots of fun! wow, a lot of fun in the fun! Awesome idea Lori. Looking forward...can I help you with anything? This sounds like a lot of fun though I don't see my pieces fitting into any but the out of the hat. Way to cool! This is far more than I expected... my first BSBP! Fun challenges to keep me inspired! Thanks for all you do, Lori! Also my first BSBP...I love that you continue to search for ways to keep participants involved and engaged. Thanks for adding one more element of fun. You are so creative. Great idea! 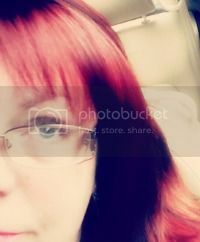 I would like to be involved, but I can´t use pintrest. (I´m not in facebook.) Thanks to my lovely partner Sandra, who ´pinned´(or whatever it´s called? :D) my soup. My first BSBP, and not so good English skills neither. So, there is a lot of challenge to me, but anyway, this is sooooo fun! Thank you lovely Lori! Here's hoping you are feeling well today. Hope you can add me to this . My pinterest name is wirednan. Thanks for all that you do, Lori. You're amazing!!! I'm just wondering if there will be something to ward against the people in the first and second reveal dates being favoured because they have had more exposure time. Maybe the judges should only look at entries after all three reveal dates, just to make sure everyone has had a fair viewing. Thanks for this fabulous opportunity! I am such a beadaholic! You do know how to throw a great party! I just found this so to late to enter with trading bead soup. You mentioned that we could still create something and enter on pintrest. What are the rules and when do we post. I think this will be so much fun. Thanks for putting together a fun Party. I would like to be included in the judging. My Pinterest is under retta6. This might be a duplicate comment. My ipad makes commenting iffy at best. I don't think I have been added to the pinterest board. My pinterest name is pixiloo. Thank you. Hi! Hope you are better--it is jean. How nice to have prizes! Can I join the pinterest group? My username is goodriver. I still need an invite, please. I don't remember getting the email. If it isn't too late to get an invite? I'm http://pinterest.com/nmoten/. I was in third reveal. Choose your words carefully -- don't be rude.